John Veysey Sanders was born in Adelaide on 28 May 1924, the younger of two children of Harold William Sanders, Professor of Mathematics at the University of Adelaide and his wife Isobel (nÃ©e Armstrong). The Sanders family had long-established roots in Adelaide: His great-grandfather had come from Cornwall shortly after Adelaide was colonised and was the Board of Works engineer. His grandfather was a professional organist (rated as the best in Adelaide) who established a business in the city for selling musical instruments. His mother (Isobel) came from an ecclesiastical family, her father having been a Church of England clergyman in Perth, Western Australia. She had, however, studied Mathematics at the University of Western Australia, and it was at this time that she and John’s father were married, the latter then being a Senior Lecturer in Mathematics at the University of Western Australia. John’s parents moved from Perth to Adelaide in February, 1923, when his father was appointed to a Lectureship in Mathematics at the University of Adelaide. His mother’s family was clearly exceptional for the time since, not only was it then unusual for a woman to graduate in mathematics, but in addition, one of Isobel’s sisters (Florence) was the first woman graduate in geology in Western Australia. John’s primary school education was at Poultney Grammar School, Adelaide, and his secondary school education as a scholarship entrant at St Peters College, Adelaide. At school he was a competent but unexceptional student. At least in part this was because he had interests in a wide range of other activities, many of a practical sort such as photography and woodwork; however, the truth of the matter seems to be that he rebelled to some extent against school regimentation, and was happiest when he was able to do things on his own initiative and to make his own decisions. His outstanding academic ability did not become evident until he began his lifelong affection for physics at the University of Adelaide. John Sanders began his undergraduate career at the University of Adelaide in Engineering, but transferred to Physics at an early stage because of a preference for fundamental science rather than applied technology. He graduated from the University of Adelaide in 1947 with an Honours BSc degree in Physics, and soon afterwards was awarded a CSIR overseas studentship to work for a PhD at the University of Cambridge. When John Sanders arrived in Cambridge in 1947 he entered Caius College which had been his father’s college before him (his father having read for the Mathematics Tripos while on leave from the University of Western Australia in 1920-22). It appears that on the first day that John walked into the Porters Lodge at Caius he was recognised by the Head Porter as a probable son of Harold Sanders whom he remembered from more than two decades before! Early in 1949 in Cambridge, John Sanders and his fiancÃ©e Gloria (nÃ©e Cleary) were married. Gloria June Cleary also came from South Australia where her family lived in the town of Angaston and where her father was stud-master at the famous stud at Lindsay Park. At Cambridge, John joined the group directed by Dr Philip Bowden in the Laboratory for the Physics and Chemistry of Rubbing Solids. He was awarded a PhD by the University of Cambridge in 1949, and then returned to Australia to join the CSIRO Division of Tribophysics. He remained with this laboratory and its successors (Divisions of Materials Science, and Materials Science and Technology) for his entire scientific career. At this time there was a close relationship between the Division of Tribophysics in Melbourne and the Laboratory for the Physics and Chemistry of Rubbing Solids in Cambridge. 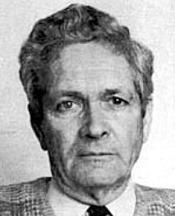 In the early years of World War II, the immediate precursor to the Division of Tribophysics had been established by Philip Bowden. This was at the invitation of the Australian Government which needed an expert group to solve pressing wartime problems related to the production of aircraft engines and explosive devices. Immediately after the war Bowden returned to Cambridge, and a relationship between the two laboratories evolved naturally. John Sanders was one of several outstanding Australian scientists for whom this relationship facilitated their working towards a PhD degree at Cambridge at a time when this degree was unavailable at Australian universities. His work in the early part of his research career (1947-56) was centred on the fields of adsorption, the structure of adsorbed surface layers (particularly of long-chain organic molecules), and the study of these phenomena by diffraction methods. His interest in this area can clearly be traced to his original work at Cambridge, and this in turn had its origin in the pioneering work of the groups at Melbourne and Cambridge on problems associated with boundary lubrication. By the mid-1950s it had, however, become clear that the chemical properties of solid surfaces could be influenced by the structure of the surface itself. This led to an exploration of the problem of the characterisation of solid surfaces (particularly of metals), and this remained an important theme of the work for the best part of a decade. To this end, John Sanders recognised that the use of transmission electron microscopy with thin evaporated metallic film specimens was a powerful technique since it then became possible to characterise the specimen in considerable detail in terms of defects such as grain boundaries, twin boundaries, stacking faults, and dislocations. The identification of defects on solid surfaces remained a main theme of John Sanders’ work for a number of years. It became a rather fashionable topic at the time, mainly because of a widespread interest in trying to understand the fundamentals of solid state surface chemistry, particularly in areas such as catalysis and metallic tarnishing reactions. Much of this work on surface defects used evaporated metal films grown epitaxially on substrates such as mica, although detailed structural studies were also carried out on polycrystalline evaporated metal films of the sort then frequently used as model catalysts. Work with epitaxially grown evaporated metal films led to a study of epitaxy itself, particularly the conditions required for its occurrence, and the way in which crystal growth proceeds from the nucleation stage to the formation of a continuous film. It was, in fact, the work with small crystals formed in the early stages of evaporated metal film growth that led John Sanders towards the use of the electron microscope for studying the structure of catalysts. Many catalysts also have very small particles or very complex morphologies (or both) which demand the ultimate in electron microscope resolution, and this is a field in which John Sanders became pre-eminent. He wrote several definitive reviews which were widely recognised. As notable and significant as his early studies on the microstructure of metallic surface and catalysts were, many in the scientific world would consider John Sanders’ greatest work to be in the field of high resolution electron microscopy and in particular the direct imaging of crystal lattices and their defects. His pioneering work on this with John Allpress in the early 1970s confirmed the role of crystal defects in supporting chemical non-stoichiometry and began a whole new era in structural solid state chemistry. The methods used have since continued to develop and profoundly influence inorganic chemistry in many diverse areas. John’s determination to achieve, with other collaborators, a fundamental understanding of lattice imaging ensured that the technique became established at higher and higher resolution and precision. It has thereby been extended to other applications, many of considerable technological importance in present times. Despite his outstanding successes in the fields of chemical crystallography and electron microscopy, John Sanders never lost his longstanding interest in surface science, catalysis, and the structure of catalysts. In particular, he returned to this field in the last decade or so of his scientific career with a splendid series of papers on the crystallography and structure of zeolites. In this work he drew heavily upon the lattice imaging techniques which had been the cornerstone of his previous studies with defected oxide systems, and he was undoubtedly a world leader in the study of these industrially very significant materials. This work was also extended to modified zeolites and to some non-zeolitic layered materials. Throughout his scientific life John had a strong interest in the structure and properties of gemstones, particularly the colours displayed by precious opal. His initial optical experiments borrowed on his crystallographic expertise to provide a clear and definitive elucidation of the diffraction processes that generate such colours. He continued these studies with extensive electron microscope investigations on the microstructure of opal; methods of characterisation of the gems based on this work have followed. These discoveries not only gained international scientific acclaim but also generated many associations with gemmologists, prospectors, jewellers and others outside the scientific community. In fact, he became Federal Patron of the Gemmological Association of Australia and for several years conducted theory and practical classes on the properties of gemstones for the Association in Victoria. His great interest in the microstructure of gem opals led to his assembling a considerable personal collection, including specimens he obtained himself from personal trips to inland Australia. Most of this collection was subsequently lost when his home in Melbourne was burgled. The passion John Sanders felt for electron microscopy is well reflected in the efforts he made to disseminate knowledge and practice in the field throughout Australia and elsewhere. He readily welcomed many beginners in the field, both young and established scientists, into his laboratory and patiently communicated his skills and experience to them. He worked tirelessly as a member of the Organising Committee of the Eighth International Conference on Electron Microscopy held in Canberra in 1974 and was Co-editor of the Proceedings of this highly successful meeting. He was an enthusiastic contributor in many different ways to each biennial Australian Conference on Electron Microscopy and later took great interest in the development of electron microscopy in neighbouring countries through his participation in the activities of the workshops and conferences of the Asia-Pacific Societies for Electron Microscopy. John Sanders was a man of modesty, charm, and total integrity, who strongly believed in the old scientific virtues: that scientific merit could be judged in terms of the intrinsic quality of the work, rather than by how loudly one shouts about it. He was a splendid and loyal colleague and friend to all who were privileged to work with him. For a considerable period of time, until shortly before his death, he was Assistant Chief of the CSIRO Division of Materials Science and Technology. Although this involved a significant administrative load and corresponding inroads into the time he had available for his own research work, he undertook this burden with typical enthusiasm and ability, and he did it not so much because he liked administration but because he was a generous spirit who came to believe that he owed it to the organisation which had enabled him to pursue his long and productive scientific career. John Sanders was aware of his potentially terminal illness for about two years before he died on 3 December 1987. During this time he faced the future with remarkable courage. With characteristic enthusiasm he continued his scientific work at a nearly undiminished level, and was in the laboratory planning future research only a few days before his sudden death. For his outstanding contribution to science, John Veysey Sanders was elected Fellow of the Australian Academy of Science in 1980.